This time, I’m going to write about something that I’ve always been wanting to pen down but never had the time to. As we all know, Singapore is notorious for being super crazy expensive when it comes to owning a car. It is expensive in many ways, not just the cost of car (or more like COE), but also when it comes to parking, maintenance, taxes, as well as parking and petrol. So here goes, let me do up a not-so-quick comparison for you. Now, of course, cars in Japan are much much much much cheaper! I mean, please, Nissan, Toyota, Honda… they are all domestic brands in Japan. Of course it’s way cheaper over here. 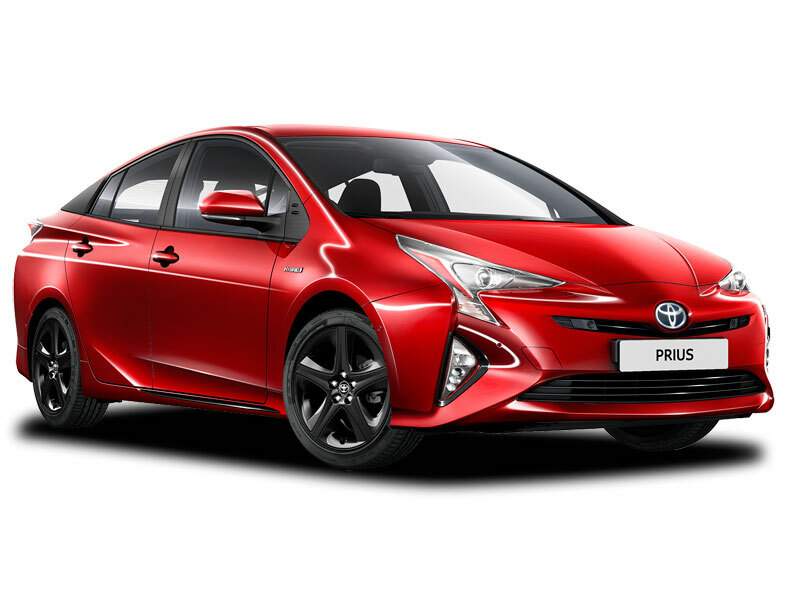 To give you a simple example, let’s look at Toyota Prius. That is the price across different Prius range, from C to V etc. I’m not a car expert but that’s a pretty good estimate. Basically, we can see that price of car in SG is 3 to 4 times the price of car in JP. Now, let’s look at this comparison from another angle. What about imported cars? JDM cars may not be a good comparison because obviously it’s gonna be really cheap in Japan since it’s domestically produced. So, let’s compare BMW i8 Roadster. This is probably a fairer comparison as both countries have to import this car from Germany. Still, if you wish to get an i8 Roadster in Japan, you can get it for less than half the price. If we compare using median pricing, the price of an i8 Roadster in Japan is only 40% of the price of that in Singapore. In addition, let’s not forget that in Japan, we also have the choice of getting Kei Jidousha (軽自動車), more widely known as Kei car or K-car, which is basically a kind of low performance vehicle meant for meeting daily needs e.g. sending kids to school, driving to get groceries etc. A quick check on the internet showed that you can get a new Kei car for around 850,000 JPY (~S$10,000). Isn’t this perfect if you just need a car to get around places? In fact, S$10,000 is the usual yearly depreciation cost in Singapore, lol. As mentioned above, owning a car is not just about the cost of car itself. What about the other aspects? Let’s look at the easiest comparison: Parking. This is one thing in Japan that took me a while to get used to because parking is so blarrrrdy expensive in Tokyo. I am not sure about other area, but for fair comparison of city vs city, I’m going to refer to parking cost in Tokyo. As you already know, GJH and I have a Jiffy II, which is a 17 year old Honda Stepwgn. We got the car partially because due to his job and relationship with the boss, we have super subsidised parking, which costs around S$100/mth, although initially we thought we will have free parking but it’s okay that’s a story for another day lol. So what’s the usual residential season parking cost in Tokyo area? So season parking aside, what about the usual parking in town or in shopping malls? GJH and I often have to search online first before we drive out to town (shinjuku.. ebisu.. shibuya.. etc etc) because parking in town area is likewise, expensive! 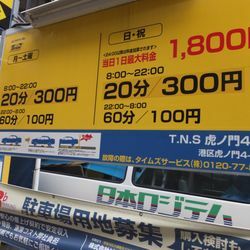 In Japan, it is common to find parking cost being counted on a 15 or 20 minutes basis. Some places offer a maximum cap and these are usually the ones GJH and I go for. Before I state the price, I just want to stress that this is a bit hard to compare fairly because the parking cost varies by so much, just like in Singapore. For example, it’s hard to compare parking in Orchard because we have the crazy expensive Takashimaya parking and likewise, the more affordable open car park space beside Cine Leisure, though they are both within close proximity of each other. To put it simply, when I was in Singapore, I recall paying for around S$7 for parking after a meal and movie and a bit of shopping, which usually takes one whole evening or the whole afternoon. I would already be complaining by then. But in Tokyo, GJH and I would be cheering if we found a parking that has a cap of 1200-1500JPY (~S$15-S$18). That’s a damn big difference if I may say so! Moving on, the next big topic, is of course, petrol. This is much simpler to compare compared to parking cost because, well, petrol. Straight forward. In Japan, the most common petrol kiosks are Eneos and Shell. Similar to Singapore, there are point system in place. However, unlike Singapore, there aren’t much crazy discount for credit cards because Japanese love collecting points much more than getting cash rebates (don’t ask me why, I have no idea, but I suspect it’s linked to how they love collecting figurines etc for hobbies, lol). In Singapore, most people make use of discounts from credit cards at different petrol kiosks. Generally, the discounts are around 15-20%, with some being immediately discount and some being cash rebates. In the comparison below, it will be based on price after discount and cash back. Of course, these prices are estimated pricing, or more like, my perception of median costs in general. *For every 200JPY at Eneos, we get 1 T-Point. So with 150yen*36L, we will be getting 27 points, which is 27 yen. That is absolutely negligible because it’d just bring down the cost by 30 cents, so let’s just say, we can safely ignore the points in this comparison. So petrol cost wise? I think both cities are on par with each other for this one thanks to the nice credit card discounts available in Singapore. Another quick note is that if you top up petrol on the express way at gas station around service areas in Japan, the price of petrol goes up by at least S$0.10/L. Yikes. The system in Japan is pretty similar to Singapore, in the sense that there’s also road tax here that’s based on CC and age of car. For this comparison, we are looking at road tax based on 2000cc vehicle that is 17 years old, which is what we are paying for now. Woah. The difference for this is crazy! Singapore is obviously way more expensive in terms of tax. 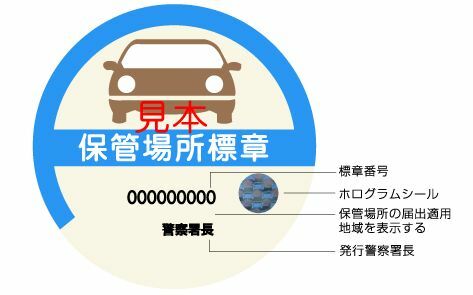 The next cut-off date for increase in surcharge in Japan is for vehicles more than 18 years. The surcharge will go up by around 5000JPY (~S$60). Guess we are getting rid of the car by then, I don’t know, haha. But even with that, it is still way cheaper in Japan. Car insurance in Japan is really different from motor insurance in Singapore because in Singapore, we mainly cover for repairs in time of accident but in Japan, insurance serves more for covering the injury of people in the event of an accident. Something similar is that for experienced drivers, it is generally cheaper when purchasing car insurance. For this comparison, I’m comparing GJH’s insurance to my sister’s insurance. Both of them are old veteran drivers driving normal cars (Honda Fit & Honda Stepwgn) i.e. non sports car with basic coverage with deductible payable. *Because GJH has only had the car for half a year, we are not sure what’s the NCD rate for his car insurance. So I’d think it should get cheaper than S$1,700/yr. Looks like insurance cost is pretty similar in both countries but in Japan, we have the choice of going for cheaper option, which is great. Most of the time, my friends in SG avoid claiming because of the allure of accumulating NCD anyway, lol. As GJH and I have not had the car for a really long time, we are not really familiar with pricing for car maintenance and servicing in Japan but! I will take the most common rate based on what I know from Autobacs. This is based on servicing for Honda Stepwgn, which is a 2000cc car, which includes engine oil and oil filter change, aircon filter change, tyre rotation maintenance, wiper change, as well as general inspection. This excludes change of certain parts like brake pads and spark plugs, which will obviously jack up the cost. I have no idea why bi-annual inspection in Japan, known as 車検 (sha-ken), costs so much! Last but not least, as part of car maintenance, how can we forget car wash? I guess for car wash, it does not make much of a difference, though I think in Japan, with such facilitiies, car wash can be a fun activity for a family and car enthusiasts, don’t you think? I’m sure all drivers in Singapore complain about ERP! Are you curious about ‘ERP’ in Japan? In Japan, similarly, we have to pay toll if we drive on the expressway and it’s called ‘ETC’. It’s not fair to compare toll fees for crossing prefecture (which btw, is damn expensive; a trip from Tokyo to Shizuoka easily costs us ~S$50) so I’ll state how much it costs to drive from where we stay to town area i.e. Shinjuku. So this comparison will be based on driving a normal passenger car from suburbs to town, distance of around 20km. Considering the fact that there is a choice of paying cheaper toll if we avoid morning and evening peak hour traffic, I’d say Singapore fare better in this aspect. In fact, the price stated above for Japan is for off peak hour. I’m not sure how much more expensive it goes up to if it’s during peak hour because GJH and I seldom travel during those timing. In fact, we avoid toll altogether most of the time by opting for small roads, even if it takes around 20min longer to get to the destination. I guess this is what Singaporeans will do when ERP gets to S$10 next time! I’m not sure if it is true but I have heard that Singapore’s driving test is actually modelled after Japan’s. Hence it is not surprising that our system is pretty similar, with both countries having a point system for our driving license. The main difference, however, is that in Singapore, it is based on demerit points whereas in Japan, it is based on accumulating points i.e. maintaining 0 is the best. I won’t go into the points system but rather, let’s talk money. I’d say it’s pretty similar in both countries, though in Japan, the maximum amount is much higher, except that if you beat a red light, you’d rather do it in Japan and not Singapore, lol. And there, you have it. I actually spent 2 days writing these because I wanted to give a comparison that is as fair as possible but it is so tough trying to find some information because googling in English for information in Japan is just… sigh. I think the answer is pretty clear cut, that though monthly cost of owning a car in Japan is higher than in Singapore, the super crazy high cost of car alone is enough to kill most Singaporeans when we service our monthly car loan, hahaa. And with this, I’m done! Haha ehhh i`ll feel bad not being able to contribute (like taking turns to drive when the other person is shag), oh well i guess if i manage to stay in Japan long term, i`ll look into taking the licence there! If you need help, you can ask Lydia. They got their licence here. I think it cost some 300,000 yen for the full course.